The ammonite is genus Shloenbacchia and it is from the Cretaceous geological age. This ammonite from Morocco has been polished to perfection. It sits on a natural stone base and some of the inner chambers have exposed individual quartz crystals that have been revealed through polishing. This specimen is nature's fine art at the very best. Ships with information and Certificate of Authenticity. 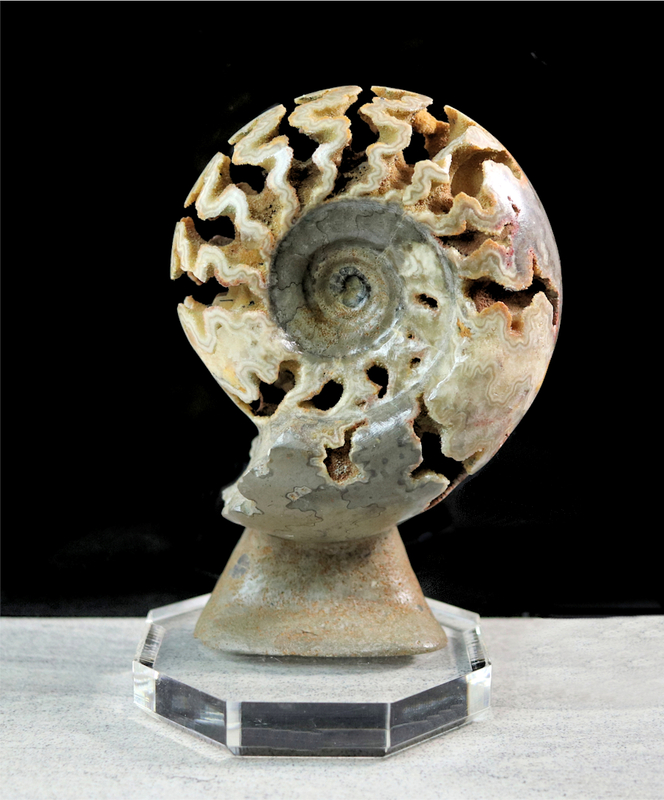 Beautiful fossil specimen for office or home decor. Stand included! FREE PRIORITY SHIPPING (2-3 days) IN THE USA!